Winner Ryan Blaney looked as stunned as many of those who competed in Sunday’s Monster Energy Cup Series race, and virtually all those who were watching it from the grandstands at Charlotte Motor Speedway and from their comfy chairs in their living rooms. Blaney successfully navigated his way through a final-lap wreck which claimed the top two drivers, took the lead and went on to win Sunday’s race. 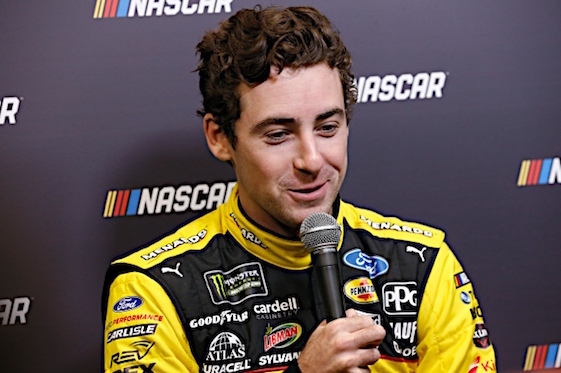 The victory in the cutoff event of the first round of the playoffs gave Blaney automatic entry into the Round of 12 of the 10-race playoffs, which resume next weekend in Dover, Del. “I didn’t expect that,” Blaney, who won for the first time this year, said. 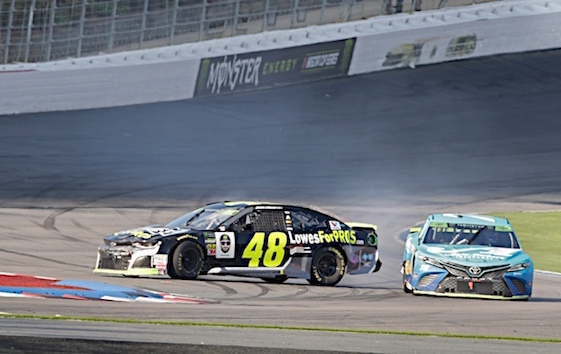 The last-lap wreck occurred on the final turn and involved leader Martin Truex Jr. and Jimmie Johnson, who was running second and charging for his first win of 2018. Johnson’s aggressive move cost him a berth in the second round of the playoffs and a shot at a record eighth championship. and I out. That the last thing I wanted. Another key moment in the race came on a restart with six laps to go. That’s when leader Brad Keselowski of Team Penske and Chip Ganassi Racing’s Kyle Larson wrecked heading into Turn 1. Both drivers locked up as they attempted to brake for the corner but instead, slid into the wall. Also caught up was contender Kyle Busch who was running fourth. Sunday’s was the first Cup race at the 17-turn, 2.28-mile circuit carved from the infield at the 1.5-mile CMS oval. And, most critically, it was the cutoff race for those hoping to advance to the next round of the playoffs. Advancing into the Round of 12 were Busch of Joe Gibbs Racing and Keselowski of Team Penske (both by way of securing race wins in the first round), defending series champ Martin Truex Jr. of Furniture Row Racing, Kevin Harvick of Stewart-Haas Racing, Penske’s Joey Logano, Kurt Busch of SHR, Chase Elliott of Hendrick Motorsports, Blaney, Clint Bowyer SHR, Alex Bowman of Hendrick, Larson and SHR’s Aric Almirola. Cut from the playoffs were Erik Jones of JGR, his teammate Denny Hamlin, Austin Dillon and Johnson.